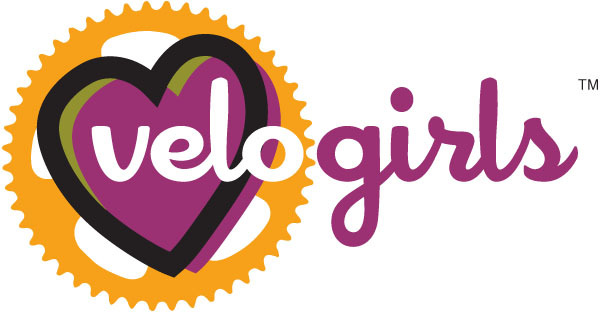 Velo Girls Coaching Services: who's got your back? as bicyclists, we sometimes feel all alone out there in the concrete jungle, battling cars, buses, crazy drivers, and road conditions. we watch as more public trail systems are being closed to us. and we fight for the right to ride on the roads and the trails. but we're not alone. following are some fabulous organizations, local, national and international, whose missions are to provide advocacy, support + education for the bicycling community. as 2009 draws to a close, I encourage you to lend your support to these organizations. become a member. make a donation. show your appreciation for the hard work these organizations do on our behalf. Bay Area Bicycle Coalition -- http://www.bayareabikes.org/ -- The Bay Area Bicycle Coalition’s goal is to make the San Francisco Bay Area a national model for progressive bicycling policies, and to provide a safe and comprehensive network to facilitate bicycling throughout the region. BABC believes that bicycling can and should be a viable transportation and recreation option for all of the wonderfully diverse residents of the Bay Area. Bicycle Trails Council of Marin -- http://www.btcmarin.org/ -- The Bicycle Trails Council of Marin was formed in 1987 to promote safe, responsible mountain biking. The BTC is dedicated to the acceptance of mountain biking as a legitimate and environmentally sound use of the land. The BTC works to educate bikers, as well as other users, of local regulations and proper trail etiquette and serves as an advocate for the mountain biking community. Bicycle Trails Council of the East Bay -- http://www.btceb.org/ -- Bicycle Trails Council was founded in 1987 by Michael Kelley and a dedicated group of volunteers who fought very hard to stave off the impending closure of almost all the bike trails in the East Bay! We are the second oldest mountain bike advocacy group in the United States and one of the founding clubs of IMBA! Our Mission is to educate cyclists in responsible mountain biking, to advocate for appropriate access and to promote community among trail users so all may fully enjoy and preserve the natural spaces of the East Bay. Bikes Belong Foundation -- http://www.bikesbelong.org/ -- In June 2006, the Bikes Belong Coalition launched the Bikes Belong Foundation, focusing on bicycle safety projects and children’s bicycle programs. The foundation operates as a charitable organization that can receive tax-deductible donations from individuals. It stands as a separate, complementary organization to the Bikes Belong Coalition. East Bay Bicycle Coalition -- http://www.ebbc.org/ -- dedicated to promoting bicycling as an everyday means of transportation and recreation, since 1972. EBBC safeguards the interest of bicyclists in Alameda and Contra Costa counties. EBBC works with 33 cities, both counties, Caltrans, and other government agencies to improve conditions for cyclists. International Mountain Bicycling Association -- http://www.imba.com/ -- IMBA was founded in 1988 by a group of California mountain bike clubs concerned about the closure of trails to cyclists. These pioneering clubs believed that mountain biker-education programs and innovative trail management solutions should be developed and promoted. IMBA's mission has always been to protect, create, and enhance quality trail experiences for mountain bikers worldwide. In addition, we actively promote responsible mountain biking, support volunteer trailwork, assist land managers with trail management issues, and improve relations among trail user groups. IMBA has members in all 50 United States and 40 other countries. IMBA members annually contribute more than one million hours to trailwork projects on public land. To date, these volunteers have created more than 5,000 (8,000 km) miles of new trails worldwide. League of American Bicyclists -- http://www.bikeleague.org/ -- The League mission is to promote bicycling for fun, fitness and transportation and work through advocacy and education for a bicycle-friendly America by representing the interests of the nation's 57 million cyclists. With a current membership of 300,000 affiliated cyclists, including 25,000 individuals and 700 affiliated organizations, the League works to bring better bicycling to your community. Marin County Bicycle Coalition -- http://www.marinbike.org/Index.shtml -- (MCBC) has been steadily improving our county’s road and path facilities for walkers and bikers since we formed in 1998. You’ve seen the impact of our advocacy efforts in each of our towns: permanent bike racks, bike lane striping, green-and-white bike route signs, road resurfacing, ‘sharrow’ road stencils, and so much more. Monterey Off-Road Cycling Association -- http://www.morcamtb.org/ -- MORCA is an organized voice for responsible mountain biking in Monterey County. We accomplish this by advocating for mountain bike trail access, maintaining area trails, and sharing good will with other trail users. We are involved in mountain biking advocacy at all levels of the community. Mountain Bikers of Santa Cruz -- http://www.mbosc.org/ -- Mountain Bikers of Santa Cruz (MBOSC) is a non-profit educational organization which is dedicated to the promotion of mountain biking in a healthy and environmentally sound manner. MBOSC is an affiliate club of International Mountain Biking Association (IMBA). MBOSC was founded in 1997 to raise money towards the purchase of the Gray Whale Ranch that was added to Wilder Ranch State Park. Napa County Bicycle Coalition -- http://www.napabike.org/ -- Napa Bike has 4 main functions which include bicycle education, bicycle advocacy, promoting events and programs, and fundraising to support the coalition. Rails to Trails Conservancy -- http://www.railstotrails.org/index.html -- Rails-to-Trails Conservancy is a nonprofit organization based in Washington, D.C., whose mission it is to create a nationwide network of trails from former rail lines and connecting corridors to build healthier places for healthier people. Responsible Organized Mountain Pedalers -- http://www.romp.org/ -- Advocating for Mountain Biking in Santa Clara and San Mateo Counties, ROMP encourages mountain bikers to take part in trail maintenance and construction, participate in land manager meetings and master plans, ride with respect for the land and other trail users, and have fun. Safe Routes to School -- http://www.saferoutestoschools.org/index.shtml -- Safe Routes to Schools is a popular program spreading across Canada and the U.S. designed to decrease traffic and pollution and increase the health of children and the community. The program promotes walking and biking to school through education and incentives that show how much fun it can be. The program also addresses the safety concerns of parents by encouraging greater enforcement of traffic laws, educating the public, and exploring ways to create safer streets. San Francisco Bicycle Coalition -- http://www.sfbike.org/ -- Through day-to-day advocacy, education, and working partnerships with government and community agencies, the SFBC is dedicated to creating safer streets and more livable communities for all San Franciscans. Our active 10,000 members represent San Franciscans of all ages, from all neighborhoods, who are working towards more safe, efficient, and green ways to move around our city. Silicon Valley Bicycle Coalition -- http://bikesiliconvalley.org/ -- The Silicon Valley Bicycle Coalition (originally Santa Clara Valley Bicycle Association) has provided a forum for bicyclists to organize, discuss common concerns, and take action since the early 1970s. We organize at a grassroots level to create an environment in which bicycling can flourish. For almost 35 years, our members have served on bicycle advisory committees, gathered data, monitored trends and disseminated information on urban cycling issues to local governments, cyclists and the public. Sonoma County Bicycle Coalition -- http://www.bikesonoma.org/ -- The Sonoma County Bicycle Coalition promotes bicycling for transportation and recreation and works to educate the community about bicycle safety and the benefits of cycling, including good health and protecting the environment. Sonoma County Trails Council -- http://www.sonomatrails.org/ -- The SCTC works in partnership with others to advocate, plan, build, and maintain a network of sustainable, shared-use public trails for non-motorized recreation throughout Sonoma County, California. Street Smarts -- http://www.getstreetsmarts.org/ -- Founded in 2002, the nationally-recognized STREET SMARTS program has been working with schools, neighborhoods, seniors and other communities to improve safety on our streets. Every year, tens of thousands of kids learn how to be safer pedestrians and cyclists, while thousands of adults are making smarter choices on our roads.